Vanessa Saint-Pierre Delacroix and Her Nightmare is rated 3.3 out of 5 by 3. 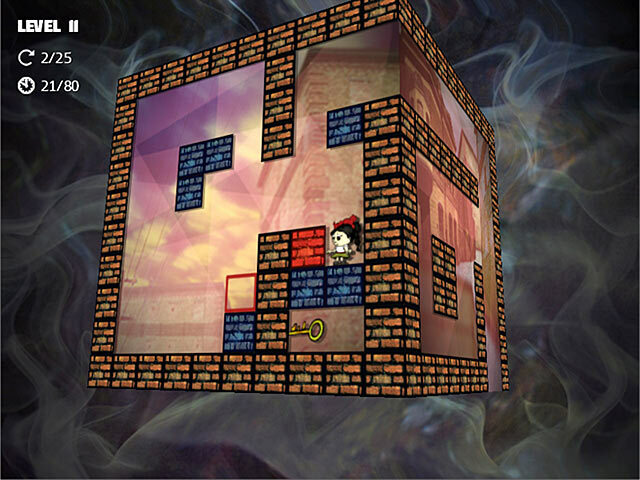 Rated 4 out of 5 by majuga from Fun puzzle game Funny puzzle game with good graphics and music. Interesting and catching game. I like it. Rated 3 out of 5 by mrm2006 from Just Not My Cup of Tea...........but could be yours. Storyline: Vanessa (you) was a strange little girl. Kept to herself, and LOVED to play puzzles - all kinds of puzzles. She was a veritable GENIUS at them. One day, she found an odd little box. It wouldn't open. Hmmmm. Perhaps it's a puzzle. Well, years went by and Vanessa (you) were teased and tormented by the other kids at school. You were running away and the box FLEW out of Vanessa's hands and ...... opened. The whole city, her father, herself, her peers - everyone and everything was sucked into this little box. To save everyone - even her awful peers - Vanessa knew she had to solve ..... the ......only ...... puzzle ..... she ...... had..... never ...... been ...... able....... to ....... solve. Graphics: Terrible. Grainy. Worse than cartoony. Very monochromatic in color. Sound: Creepy and repetitive. 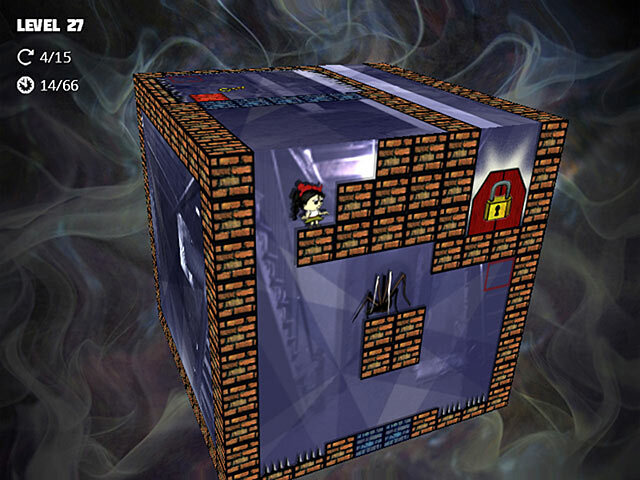 Gameplay: Using your keyboard keys (I couldn't find a way to switch to mouse so this was a huge problem for me), you/Vanessa have to find your way to the exit of various rooms of this box. That's it. Turn the box upside, downside, sideways, however you need to. Just get to the exit, hit "enter" and your on your way to the next level. That's it. The whole enchilada. I had a problem using the keyboard keys rather than the mouse - I guess I'm just not wired that way - lol. I found the game very boring and quit after about 15 minutes. I mean, seriously, can't you find something else for Vanessa to do besides go to the exit? Maybe further along in the game. I just couldn't take anymore and quit. Just because this wasn't my cup of tea doesn't mean it won't be yours. So, this Glam-ma says please do try it - all you have to lose is an hour. And, for puzzle lovers, I think it will be a lot of fun. This review is this Glam-ma's unbiased opinion of this game - and only mine. Therefore, if you found this review to be helpful, please click on the "yes" button below. There is also a "no" button. Seriously? You'd give your Glam-ma a "no"? Kidding. Happy Gaming. 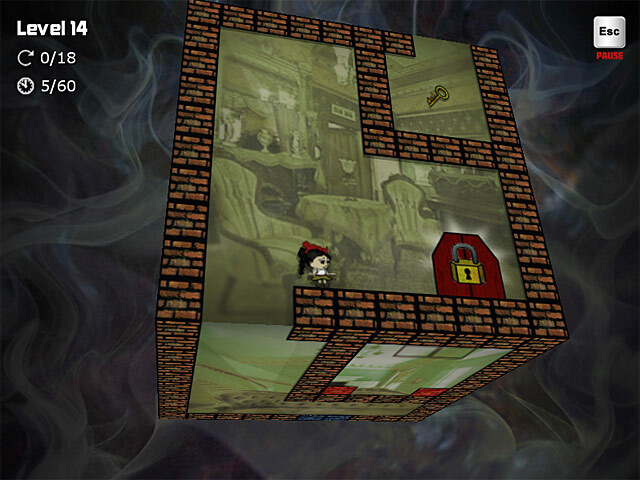 After being sucked into a magical device, Vanessa must work her way through tricky puzzles to return to her home!